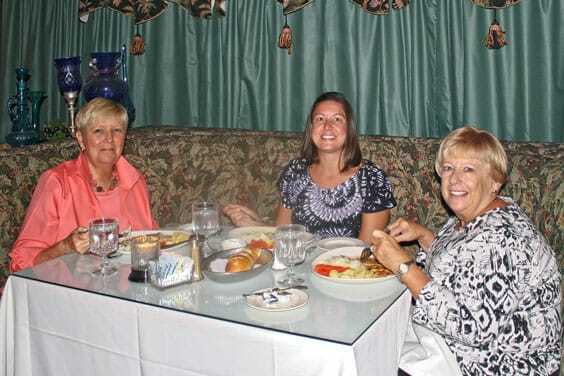 These local ladies are all smiles about the menu options at Café Monet in Parker. Looks might be deceiving when you pull into the parking lot of Café Monet in Parker, but inside is a cozy, quaint restaurant featuring authentic French and Italian cuisine. With more than 30 years experience between them, and having formally owned Café De Lapaix in Littleton for 15 years, Mohammed and Homa Bazyar opened Café Monet in Parker 17 years ago. According to a friend of the family Jim Healy, some of the devoted patrons visit weekly and sometimes daily and have for nearly two decades. Here is why, he said: "The outstanding food starts from fresh ingredients. Every item is made from scratch; nothing is ever frozen or pre-made," boasts Healy. "Each day, Homa prepares the soup, gravies, sauces, dressings, sides and the dessert!" The power lunch specials can't be beat for $7.95. The specials change daily and the meals include a cup of soup with French bread, a garden salad , and a serving of rice and vegetable to accompany any entreé. A few teasers off the dinner menu include scampi, veal parmesan, chicken cordon bleu, steak Diane, or the lamb shank. All dinner entreés include soup, salad, vegetables, rice and potato. If you love a good chocolate mousse, make sure you save room for this decadent treat. 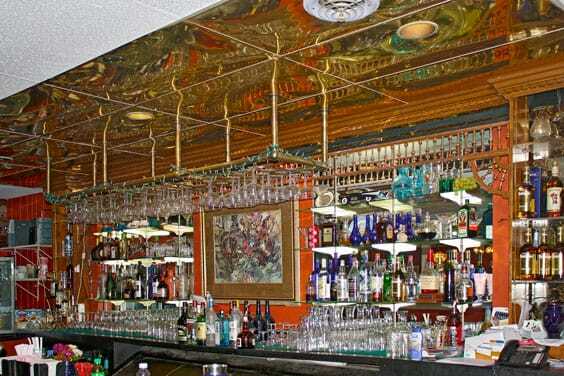 Come experience Café Monet's friendly service, quiet atmosphere, delectable cuisine, and full service bar. 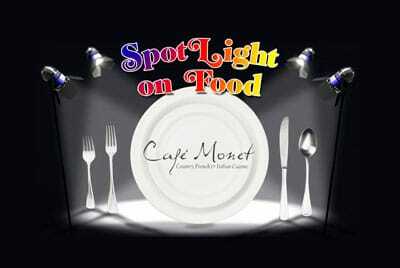 Café Monet is a fabulous place for dining with close friends, family, or for a romantic get away with your spouse. They are located at 10471 South Parker Road, on the corner of Parker Road and Plaza Road. Hours of operation are: lunch, Monday thru Friday 11 a.m. to 2 p.m; dinner, Monday thru Thursday 5 p.m. to 9 p.m., Friday and Saturday 5 p.m. to 9:30 p.m, and they are closed Sundays. Reservations are recommended. For information, call 303-840-0004 or visit www.cafemonetinparker.com.